Rebel Visionaire: Joy by Jean Patou. It was not until Lady Gaga's Fame perfume came out that Joy by Jean Patou came 3rd in the list of the most grossing perfumes of human history. Before that and for several decades, Joy was standing still, right after Chanel No5 , being the second most successful and adored perfume ever created. Formulated in 1929, by perfumer Henri Almeras for Jean Patou, a great couturier of the past century, credited with several fashion inventions such as the tennis skirt and knitted swimwear. It is to be admitted that when it comes to floral scents, Joy is the king of them all, as for the creation of 30ml only, they are needed 10,000 jasmine flowers and 28 dozens of roses, which is why its retail price is high. Some other flowers included are : Tuberose , Michelia and Ylang ylang. A great victory of Joy was that of the FiFi awards in 2000, when it got the title of "Scent Of The Century" beating its ever rival Chanel No.5. 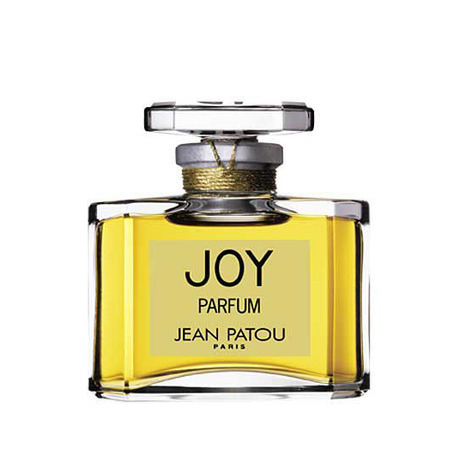 During The Great Depression era (1929-1939) Joy's sales boomed as women that could not afford the luxury of Patou's garments, needed desperately some Patou Luxury, so even a perfume with his name was quite a relief. Even though the Patou house of couture closed after Lacroix's departure in 1987, Joy still remains available for you to en-JOY.